Delightful Easter Brunch in Naples, Florida - Easter Season happens only once in a year, enjoy an Easter Brunch in Watermark Grille. Make use of your time in a meaningful way by having time with family and friends. Easter Season happens only once in a year, enjoy an Easter Brunch in Watermark Grille. Make use of your time in a meaningful way by having time with family and friends. As I flip through my planner and make a schedule on my monthly to-do list, I remembered my Easter dinner moment with my friends last year. 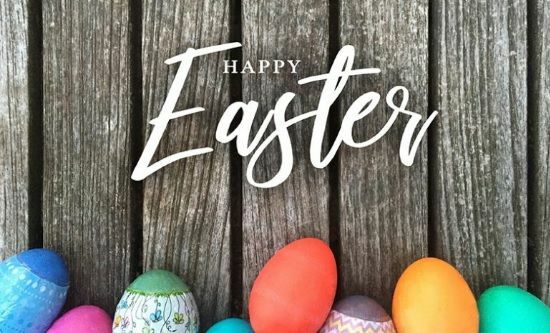 It was so memorable that I came to realize the importance of the Easter Season, and most people tend not to give importance this significant time. Notably, I noticed most people celebrate Easter in many ways, may it be on the basis of religion or non-religion. Each and every one has its own way of celebrating Easter. Mark your calendar for the whole Easter week celebration. Prioritize and set aside the whole week for your religious beliefs. Beginning with Palm Sunday to Christ’s journey to Jerusalem. Celebrate the Last Supper, Good Friday, Holy Saturday and Easter Sunday - Christ’s resurrection, the most significant moment in the Christiandom’s belief and proof that Christ is the living God. Reflect on the significance of the event. Self-reflection cleanses the soul. Easter Season happens only once in a year, maybe its time to rebuild your spiritual side closer to Christ again, ever since your planner is so fully booked with all work-work schedules and no time to thank in gratitude the One above for all the good things you have in life. If possible, try to attend the whole week’s church services by yourself or with the whole family. Everyday day masses are scheduled in advance, daily biblical reflections will bring Christ closer to you or to your family. Moreover, do confession, this is one of the most neglected Christian obligation most people tend to forget. The Sacrament of Penance cleanses the spirit and brings Christ closer to you. Doing good deeds not just by wisdom but with good works in action. Try to be a good Samaritan for a week, helping those in need can be felt more deep inside that reflect good memories. Share your Time with Non-religious Friends or Relatives. Giving your time, through unselfishness deeds and care for others especially with non-religious people to have a get-together party or a simple brunch is one of the noblest Christian good action you can do this coming Easter season. If you may have more savings in the bank, set aside a portion for your dream vacation somewhere on an island or fulfilling your elusive European tour. Allocate Your Time with Family and Friends. Schedule a surprise homecoming visit for your family, or organize a small reunion of your close friends to have a small-get-together dinner in a restaurant or in your house for practical reasons. For this coming Easter Season, whether you are religious or non-religious it doesn’t matter, what is important is how you use your precious time and with whom. Generally, most people find their life more fulfilling and enjoyable by spending their time and having a good relationship with family, relatives, and friends. Make your Easter Season memorable by spending brunch time either with your family, relatives or friends. Treat them at Watermark Grille and taste its special Easter Brunch menus this coming Easter holidays. Watermark Grille, the best restaurant in Naples FL, offers a special Easter brunch Naples FL menu consisting of Roast Leg of Lamb, Virginia Cured Ham Steak and other unique options. Call now our Naples Restaurant at 239-596-1400 and no need of early reservations, inquire about our menus like Naples seafood, steaks Naples FL, top chicken menu Naples, supreme pasta menu Naples FL and other Easter Season Menus, or you can contact us also at https://watermarkgrille.com/contact-us/. For other details, please visit our website at https://watermarkgrille.com/, or visit directly our service offices at 11280 Tamiami Trail N, Naples, Florida. Watermark Grille provides great menu items, wine, and more. Our success is measured by our hard work and effort, but most of all, by our 21 years of satisfied customers here at Watermark Grille.